This project is a private house in Belsize Park, Hampstead, a neighbourhood renowned for its architectural character and experimental houses from the 18th C to today. Our design is conceived as a new model of family house suited to contemporary life in London. Our client’s brief was for a spatially open and transparent house that takes advantage of its primary south facing orientation. By transforming the typical deep plan London house-type into an elongated courtyard villa, the plan form embraces the garden and fills the centre of the house with light. The building is faceted in both plan and elevation to create recessed and projecting bays. 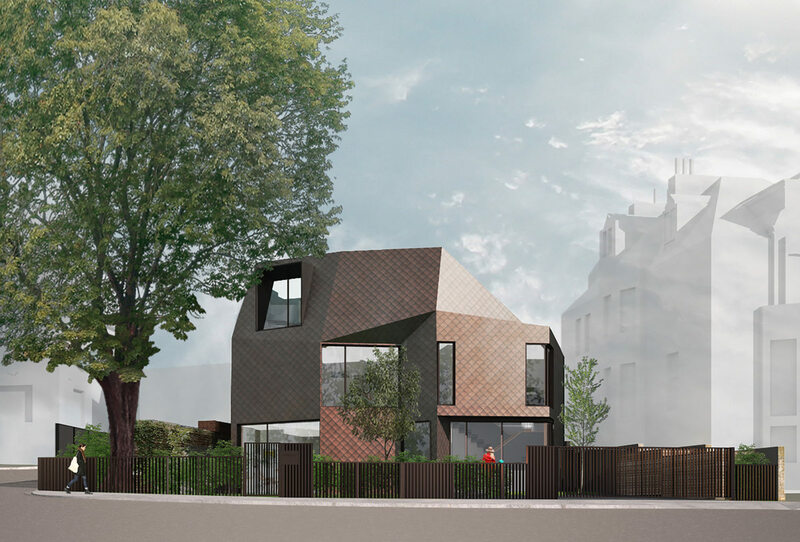 This folding geometry abstracts the highly articulated facades and roofs of Belsize Park’s 19th C urban villas into a series of intersecting vectors and surfaces, a three dimensional mesh. The principle of a continuous meshed surface also describes interior volumes that strive for spatial continuity. Kitchen and living spaces wrap around and open on to a central, west facing courtyard. The living room wing can be understood as a garden pavilion from which one can look back into the house through layers of transparency and across a captured landscape. 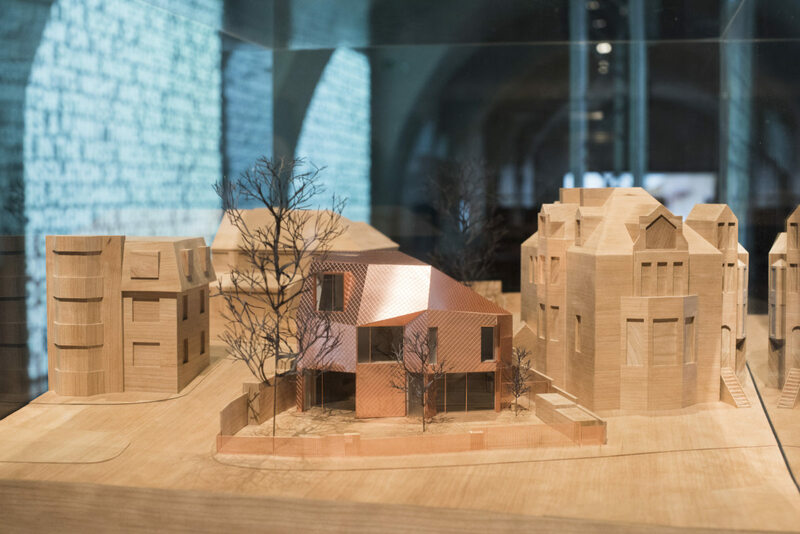 In section, the house becomes more transparent as one moves from the street to the rear garden, so that the enclosed rooms of the first floor appear to hover above the main living spaces. 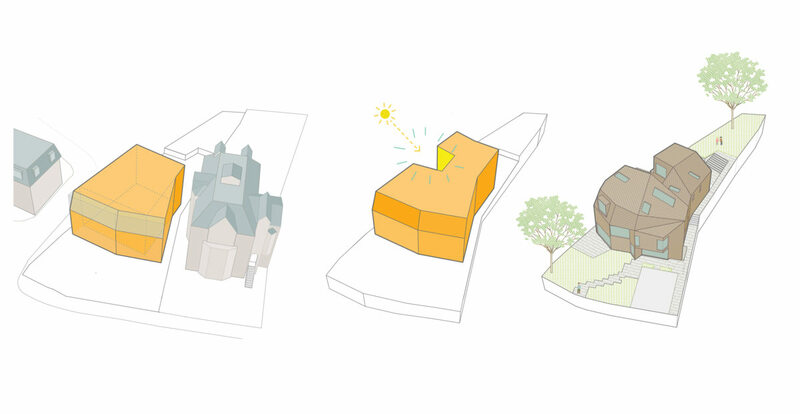 This allows the interior to become part of a continuous landscape of exterior terraces and courtyards. Surprising vertical spaces and lightwells that open to the sky animate the house interior. The first floor corridor is conceived as a gallery between these vertical spaces, creating a tree house-like quality. 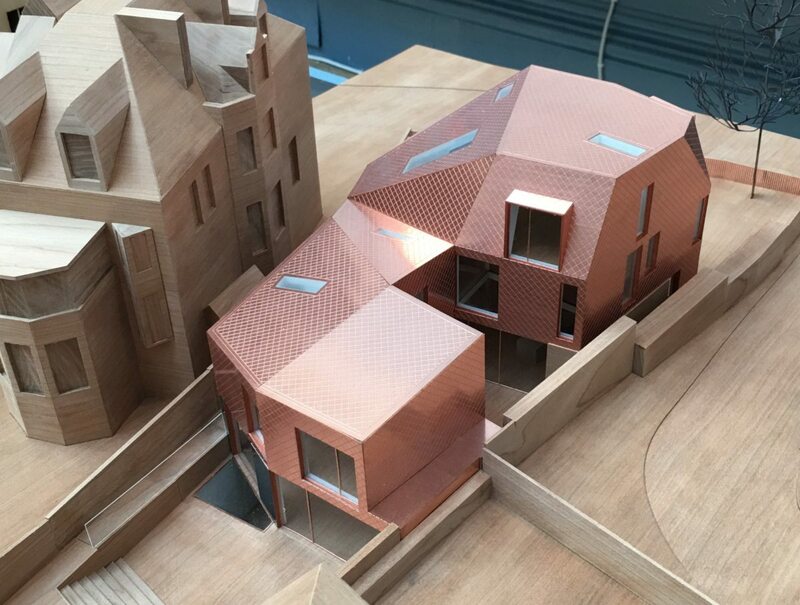 The entire house is clad in small format copper shingles that permit the roof, facades and bay windows to form a unified whole. 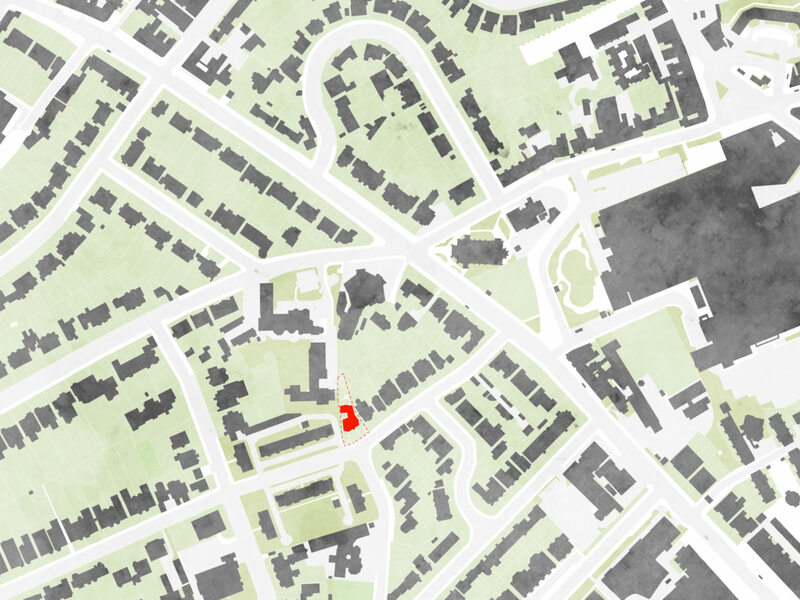 Located within the Fitzjohns/ Netherhall Conservation Area, the form and language of Mesh House aims to contribute to the diverse architectural heritage of the area. With a variety architectural styles surrounding the site – a 1930’s brick, three-storey Belsize Court to the west, large four-storey red brick Victorian properties to the east and the Hunter’s Lodge to the south the scheme has been developed to both respond to its context and create a new reading of contemporary domestic architecture.